If you have experience of playing hardball cricket before then we offer ladies training on a Wednesday evening 6.30-8pm. This starts from the 17th April, including experienced coaching from qualified ECB personnel Mark Shrehorn ECB Level 3. We compete in friendly midweek fixtures around the local area. As well as the ECB Super 8s competition throughout May continuing into the Midlands Ladies Cricket League in Division 1 for 40 over competitive cricket from July to September. Interested in cricket but not quite sure where to start? Mums, Grans, Girlfriends, Aunties…you name it this will be for you! 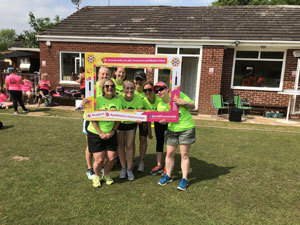 Our social softball cricket is great fun for women of all ages to play with friends, we offer fantastic opportunities for ladies on a Friday evening from 7pm onwards come and have a go on 3rd May, you are welcome to come and use our facilities including our regular BBQ evenings and the bar is always open. You are able to come and just give it a go, we do not require any commitment from you, if you enjoy it then you are able to play in the friendly softball festivals with your friends at the weekends. Additionally, if you do enjoy and want to progress to hard ball then you are welcome to training and play in some matches when it suits you. 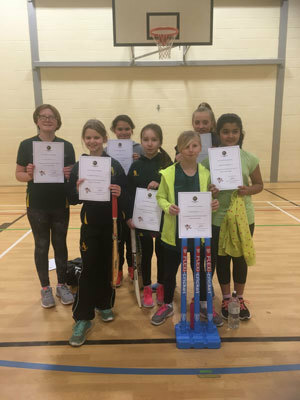 We offer training for girls from the age of 5-12 on a Friday evening at Milford Hall Cricket club through the summer from 6.30-8pm, starting Friday 26th April. There are age groups for all children; Under 8s, 10s and 12s. Anyone who is over the age of 12 there is also under 14s training on a Tuesday evening 6.30-8pm. Alternatively any females over the age of 14 may attend ladies training on a Wednesday evening also 6.30-8pm. There will be match opportunities for the girls depending on the age groups. U8s will play softball cricket on a Saturday morning. Over the age of 8 they will aim to play hard ball cricket on a Sunday morning and sometimes in Midweek games.